We paddled past cormorants perched on towers, past egrets looking sideways at shrimp about to die, past a great blue heron that had no time for us. We got to our clam bed, pulled out a dozen clams, and headed back home as the sun ached its way back south. Yes, I know the date. I was on Liberty Island waiting for folks who never arrived, and watched the smoldering city as the sun ignored our passion play, and settled down only as a September sun can. 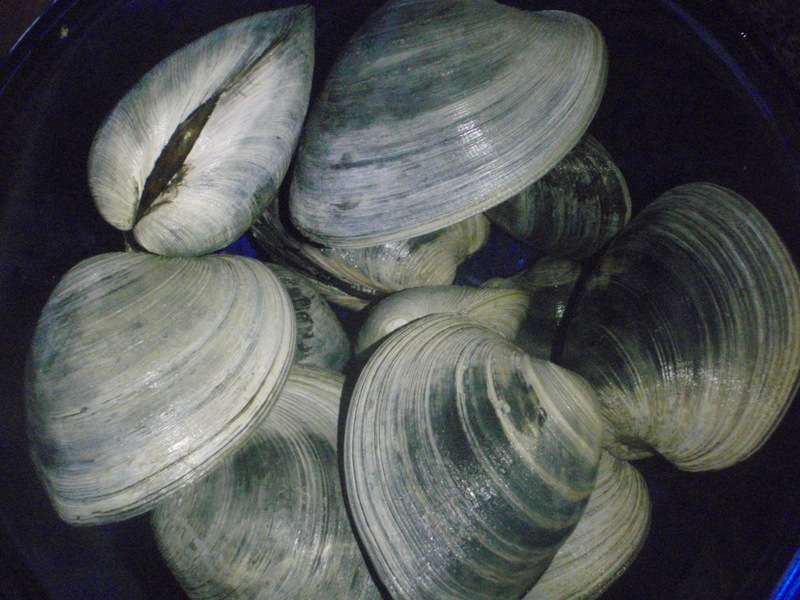 I got out my clam rake, to stalk critters every bit as evolved as me, and now sit with a belly full of quahogs. If I could get even a tiny piece of what I did today--harvesting the energy of sunshine caught between the gorgeous shells of a critter that does not know I exist, so that I may breathe another day--into the souls of my lambs, I'd have done my job. We've created a culture where you can go from cradle to grave without once ever acknowledging the grace that makes it possible. I do not talk of grace in the classroom. I talk of fusion in the sun, of energy flowing through us, or matter recycling around us. I talk of what we know, what we can know, and of what we cannot. I talk of descent with modification, of DNA, of life. I told the kids on Friday I would bring back a shell or two of the critters I planned to hunt over the weekend. 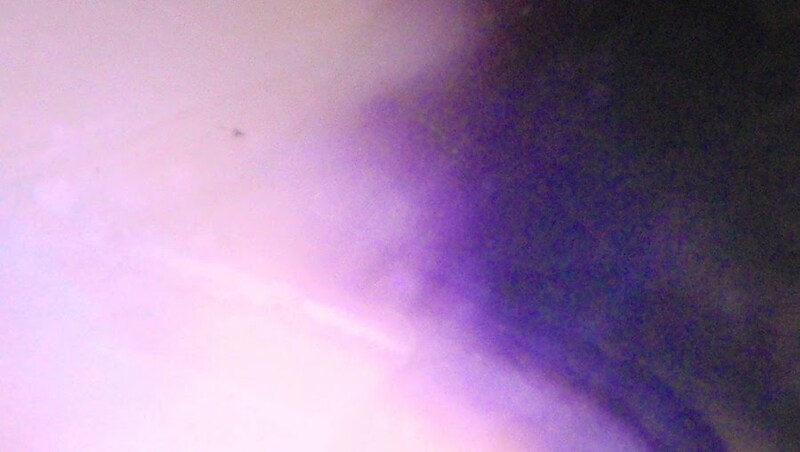 I want them to wonder, as I do, why the inside of a quahog shell holds a purple streak almost too intense too bear. The answer, whatever it might be, hardly matters. It's the wondering that matters. You do talk of grace in your classroom. Your actions speak louder than your words ever could. Your final lines hit home something a bunch of us spent the summer discussing. We read A Place for Wonder by Georgia Heard. One thing that we noted was how the teachers in the book encouraged the students (first and second graders) to discuss their wonders. They weren't concerned about getting a right answer, they wanted the kids talking about their questions and their thinking. We found that really powerful. I wrestle with how to get my students to see that grace and to understand science as more than simply experiments or concepts. I will have them try and keep a plant alive here in a little bit. I'll watch the joy when the seeds sprout. And I'll have you to thank. Actions do speak loudly, and the reality of the state biology test tempers my class spirit a bit, so big dreams in September may fall to more drill and kill later. We'll see how it goes--I'm pushing the science as process idea hard this year. I am also pushing the science as storytelling/models. I'm betting the content will stick better in context. If I can keep Arne the Scarecrow out of my classroom, I can teach science. It's amazing how we kill wonder in science class, of all places. We simply do not have the time to cover everything we are required to cover AND think/wonder/ponder at the same time. I have kids who never grew beans (or any other plant) in class before they hit mine. Every kindergartner should be growing something, no? Every 1st grader. every 3rd grader, heck, everyone in public school. What are your kids growing this year? I'm wrestling a little less with trying to make them see it. I'm a bit more relaxed now letting them see my joy in class. I get excited by daphnia and elodea and earthworms and pea plants. They see my joy, and I (again and again and again) remind them where the energy comes from (as far as we can know) and where the stuff comes from (as far as we can know). Over and over I have them breathe on their hands--warmth/energy, water, and carbon dioxide. Plants grab water and CO2 and put them together with light/energy. Every time I burn something in class, I remind them that the light and heat released are new forms of sunlight/energy captured by plants. Not sure what else any of us can do--if you can get kids at all interested in things beyond the human (video/text/neon lights), you've changed lives. Until you get them out of the human/tech box, you cannot hope to teach them science. Oh, they'll still pass the tests, but they won't know a thing. We have a fourth grade science unit in our distract that has every student grow some fast-growing mustard seeds. They even have dead bees to glue to toothpicks in order to pollinate the flowers and then harvest new seeds. It is fabulous fun. Last year my class took over a small section of grassy area outside of our cafeteria to make a garden. I have no talents in this area so we are struggling along together. A couple of other teachers have jumped in as well. My goal is to have a school garden everyone helps with and enjoys. Watching first graders dig in dirt is a profound, beautiful experience.